"LIGHTHOUSE TERRACE" This show home condition, 3 bdrm, 2.5 bath FREEHOLD Townhome is located in the vibrant riverfront River District. This highly desirable corner home is an outside unit with many quality updates - gorgeous kithcen w/granite counters, tile backsplash & S/S appliances. You will find gleaming Hardwood floors through the L/R, newer carpets upstairs & updated baths. 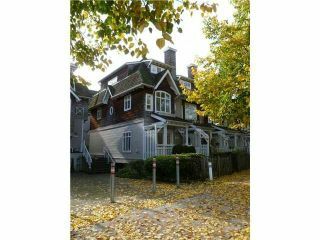 Top floor master bdrm is a tranquil retreat w/ private south facing balcony & beautifully updated ensuite w/ oversized shower. Second floor offers 2 spacious bdrms w/ full bath & laundry. Lower level offers flex space & direct access to your 2 parking spaces & oversized storage. 20 min to DT and steps to te park & river. MUST SEE!